Back on January 10, an information session was held at Montgomery Elementary Library about a Conditional Use Permit (CUP) to expand the existing use of Pacifico to include a residential treatment facility and a navigation center at the property. Conflating the issues with the new proposal are ongoing complaints from residents in the neighborhoods around Pacifico about nuisances in or surrounding the property. The meeting on January 10 was co-opted by those concerns and residents have come to council starting last fall to register complaints as well. 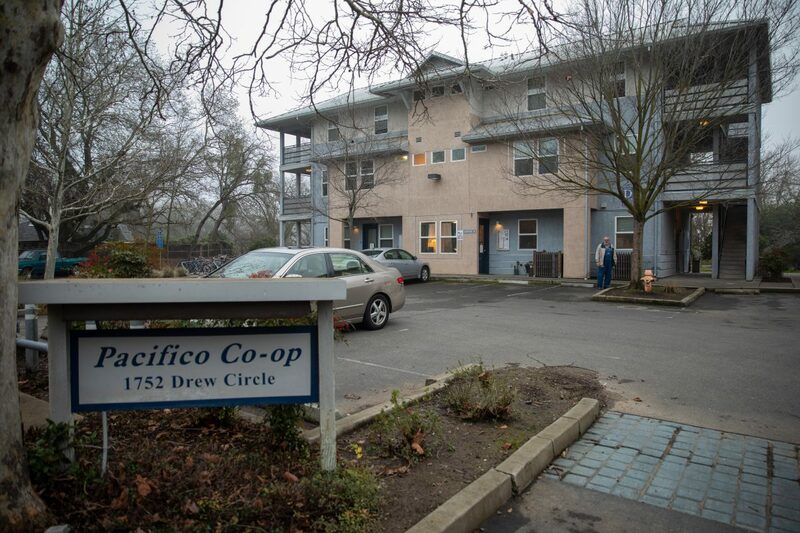 Since then, the city entered into a property management agreement with the California Center for Cooperative Development (CCCD) and a sub-agreement with Yolo County Housing (YCH) for property maintenance. The city reports that, since the foreclosure, vacancies have declined, with 83 percent occupancy of 48 units in 2012 and full occupancy by 2015. They add that “property rents are affordable without subsidy to households of up to 60% of median income. In addition, the property pays all utilities, not by the tenant. In addition to affordability criteria, YCH requires prospective tenants to meet suitability criteria which includes: Income Verification, Rental History, Credit History and Criminal/Illegal Activity. The staff report looks at recent calls for service to the police department. Pacifico by this measure compares favorably with Cesar Chavez and Eleanor Roosevelt. The staff report summarized some of the major incidents – two of which drew a lot of attention. In 2016, a resident had drawn a heavy police response due to drug use and erratic behavior. He ended up collapsing and dying while in police custody – though an investigation determined that the death was not the result of police action. In 2017, there was what was originally reported as a homicide as a female in her 30s was found deceased inside her room. The police originally considered the death “suspicious in nature, warranting a homicide investigation.” However, murder charges were not pursued and the death was ultimately deemed due to consensual drug use. Other major incidents are chalked up to being related to non-resident instances. One of the points raised at the community meeting that needs to be explained is to what extent existing problems are due to Pacifico itself rather than its proximity to the bike path and remote location. At the meeting, staff suggested that current residents are actually victims as well, as the problem may be more outsiders coming from the bike path that are causing problems. He said, the graffiti “I love meth” was spray painted in front of his home. Another resident, Tracy DeWitt, explained that she was a longtime resident, but it was not until 2011 when the facility changed ownership and purpose that she began having problems. “In 2011 when you guys purchased the property was the first time I had experienced a problem,” she said. “I want to find a new place to live – because I don’t feel safe”. “The existing use is really worrying to the people in the neighborhood,” John Slater, another neighbor, said. He said they would prefer an all-residential facility rather than deal with the current uses. He argued that the city needs to address the current uses. Mr. Slater suggested that they withdraw the request for the CUP, address current problems, and then re-file for the CUP. Previous : Commentary: Attempted Murder? Another Overreach by the DA? Any idea what that means? Are they disqualifiers or minimums? This is intended as an honest question since I lack information and have no position on this plan. How do you see it as a conflation of issues or as “co-opting” when much of the concerns seem to center around YCH and it’s competency in the safe and effective management of properties? Would past performance not be a concern in assessing possible future performance? There are two separate issues that have come to be wrapped into one. One is the current situation. There is some dispute as to the cause of the current situation. The other is the new proposal. Some of the folks at the meeting in January saw the two issues as intertwined, others didn’t. I’m not taking a position on that – only attempting to delineate between the two concerns. Of course they are intertwined. The best chance for residents to remedy current problem is by blocking additional programs.